Orthopaedics is the medical specialty that focuses on injuries and diseases of your body's musculoskeletal system. This complex system includes your bones, joints, ligaments, tendons, muscles, and nerves and allows you to move, work, and be active. Once devoted to the care of children with spine and limb deformities, orthopaedists now care for patients of all ages, from newborns with clubfeet to young athletes requiring arthroscopic surgery to older people with arthritis. While orthopedic surgeons are familiar with all aspects of the musculoskeletal system, many orthopaedists specialize in certain areas, such as the foot and ankle, spine, hip or knee. They may also choose to focus on specific fields like pediatrics, trauma or sports medicine. Some orthopedic surgeons may specialize in several areas. 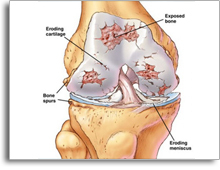 Moderate - arthroscopic treatment including chondroplasty (cartilage procedure). Sometimes if only a compartment is involved, treatment options include High Tibial Osteotomy and Partial Knee Replacement surgery. Robotic surgery allows precision of implantation of the partial knee replacement reproducible after pre- operative planning with CT scan. CT scan view while doing the partial knee replacement surgery using the robotic arm. 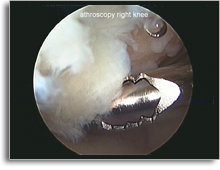 The burr from the robotic arm is shown in the monitor removing the damage cartilage for the implantation. 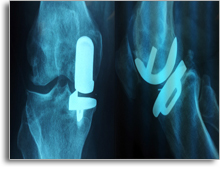 Partial knee replacement has become more popular nowadays. 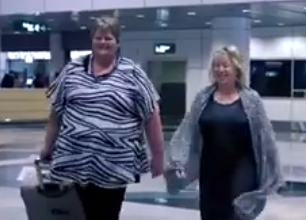 The functional outcome is excellent and the longevity of the implant has improved with surgical techniques, implant material, patient specific instrumentations and robotic surgery which are available in .Prince Court Medical Centre. 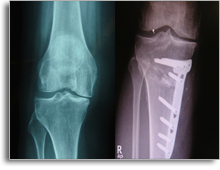 High Tibial Osteotomy is for active person who is less than 55 years old. This procedure requires 2 days stay overnight. Your Orthopaedic surgery is as individual as you are and we will ensure that you are given the correct information about what face lift procedure is best for you. Dr. Badrul Shah completed his undergraduate medical training at the Medical Faculty of the National University of Malaysia (Universiti Kebangsaan Malaysia) in 1991. After completing a year of housemanship in Penang, he started his career in orthopedic surgery as a medical officer in Institute of Orthopaedic & Traumatology, Kuala Lumpur Hospital. 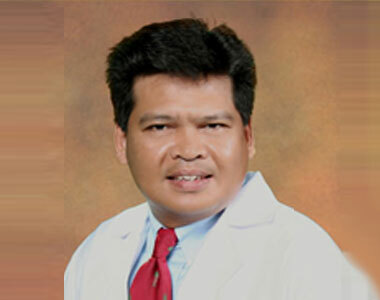 He then joined the Master Programme in Orthopaedic Surgery from 1994 to 1998 in the National University of Malaysia. Upon completion of his post-graduate training in Orthopaedic Surgery, he returned to the institute as Orthopaedic and Trauma Surgeon. In 1999, Dr. Badrul completed an advanced trauma fellowship in St Georges’s Hospital in London. He then became a member of the Academy of Medicine, Malaysia in 2001. In 2002 he went to Melbourne to undertake an Australian Orthopaedic Association accredited Arthroplasty and Arthroscopy fellowship in Monash Medical Centre. Later he went to Adelaide to further sub-specialize in Revision Joint Replacement Surgery at Royal Adelaide Hospital. Dr. Badrul returned to Malaysia in year 2003 and was appointed as the Head of Joint Replacement Unit of Kuala Lumpur Hospital from 2003 to 2007. Apart from general orthopedic and traumatology, he specializes in the treatment of arthritis, ie; from conservative, arthroscopic to primary and revision joint replacement surgeries. He practices the current trends of minimally invasive surgeries, computer aided surgeries and hip resurfacing. Since early 2011 he was accredited for Custom-made Instrumentation Total Knee Replacement surgery as well as Oxford Partial Knee Replacement. He is also trained in Robotic partial knee replacement surgery, Makoplasty and performed these surgeries in Prince Court Medical Centre since 2013. For further information regarding our surgeons please do not hesitate to ask your consultant.